This guest post is written by Tim Haigh. He’s been considering changing career for a number of years, and so contacted ViewVo and attended our Career Change Explorers events. These are his thoughts on how he’s found his career change journey so far, and his open and honest review of the School of Life workshop and Careershifters workshop. “For the last few years I have found myself contemplating a career change. In times gone by this usually entailed a flick through the Sunday Papers, in the hope of ringing any potentially interesting jobs in the classified section. This was usually accompanied by endless hours on job sites trawling through mystifying job titles and descriptions. All of this lead to me becoming trapped in a mental maelstrom and falling into destructive habits such as endless research and applying for jobs I had no hope of getting. My research did prove fruitful however as I came across organisations that ran career workshops and shadowing opportunities. One such organisation was called ViewVo and through it I learned of The School of Life, which runs such workshops. I had come to the realisation that a career change involves a lot more than skills tests and applying for roles, there are elements of psychology involved. This for me was the main reason why this workshop really resonated with me, as it covers a wide arrange of aspects to help you better understand yourself and try and break down those mental blocks which are our biggest barriers. A pivotal moment in the workshop for me was when the group examined our childhood experiences of what we enjoyed doing and why. It was enlightening for me because of the realisation that as a child we just do things because they feel right, but in adult life we over analyse things. So a review of childhood hobbies may be a key into understand what would bring us possible pleasurable careers in adulthood. The Highlight of the workshop for me was the “Company of Strangers” exercise. This proved useful as it emphasises that your friends and family have hidden agendas that disguise themselves as their own ideas of what they think is best for you and maybe their own unfulfilled ambitions. Being a group of strangers is great as they can give a more objective and unbiased job ideas based on their knowledge and experience. This helps you enhance your circle of ideas, inspirations and avenues to pursue. This is also accompanied by a touch of Philosophy in the guise of Sartre and Nietzsche. The workshop is quite expensive, but still in line with other workshops. It takes place in a great premises which also has an interesting shop. The tutor is great and very engaging, whilst creating a welcoming atmosphere which helped me as I am not strictly a city person, so was worried I wouldn’t fit in. The lunch is top notch too! The Careershifters “How to find Work you Love”, was the second career change workshop I have attended since The School of Life workshop back in October. The workshop was based at The Richmond Hill Hotel, which was a very fitting setting and immediately puts you in a relaxed frame of mind. I find this frame of mind is usually conducive to thinking things through constructive. The preparation worksheet was very useful, as it gives you a chance to reflect on your professional life as it stands, what you have achieved before and what your future goals are. This is a practical basis for the framework of the workshop and I found this useful as it gives you the chance to put everything down on paper and just doing this alone allowed for more organised examination of your thoughts. It is also used as a reference throughout the workshop as well as the work booklet you receive for the day. A lot of the exercises and discussions you have are conducted with a partner (partner is occasionally swapped), which is effective as you have a sound wall to bounce ideas off. You also have to briefly discuss your life and what has led to the decisions you made, what you would have a done better or differently, and what steps are you going to take in the future. Another aspect I really found useful was the attention paid to skills you have and what ones you want to acquire, but at the same time not allowing yourself to be purely defined by your skills. One exercise effectively utilizes the room as a several posters are positioned on the walls of the room and each of these posters illustrates a group of skills. You therefore walk around the room and list skills that resonant the most with you. This was a unique approach and I found it more stimulating method then conventional. 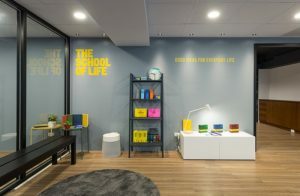 The School of Life is a global organisation dedicated to developing emotional intelligence. We apply psychology, philosophy, and culture to everyday life. Careershifters are ‘the career change specialists’. If you’re thinking about a career change you can get inspiration and a proven step-by-step approach to find and move into fulfilling work. The contents are masterpiece. you have done a magnificent job on this topic! Really helpful review. I’m a wedding photographer in Norfolk and love it but I have a yearning to do something else alongside photography but haven’t been sure of the direction to take. I’ve read your review and signed up to the One Day Intensive workshop with career shifters.